Mobile dishwashing trailer is one of Portable Dishwashing 123’s main trailer units. These trailers range from 22 feet to 40 feet. The new ones have 5 ton occupant comfort air blast cooling or heating so your dishwashing staff can work conveniently inside our units. Depending on your need, we have a push-through type and a conveyor belt kind of machines. We have kept our position to being #1 in all US in providing mobile dishwashing services. All dishwashing units are equipped with high-standard machines which are specially designed to clean and rinse the way your industry requires it. 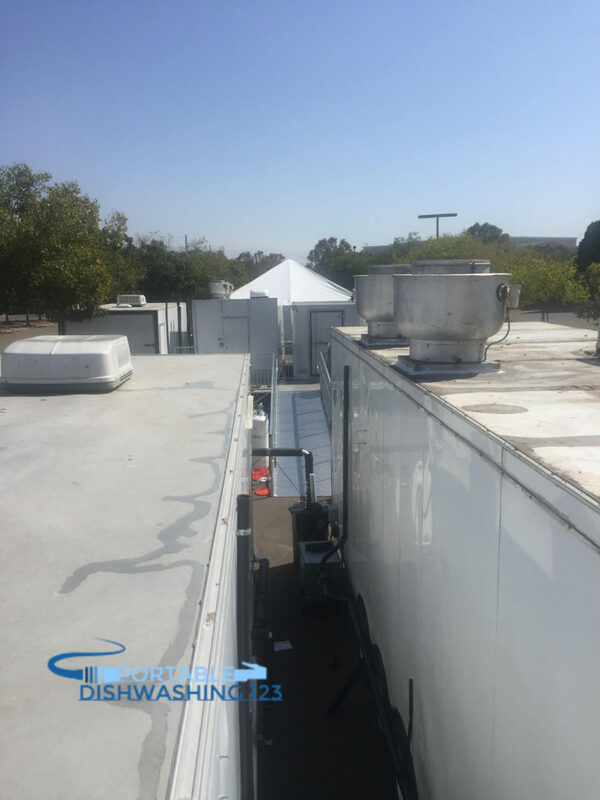 So if you offer plated services, our mobile dishwashing units are the most perfect for you. 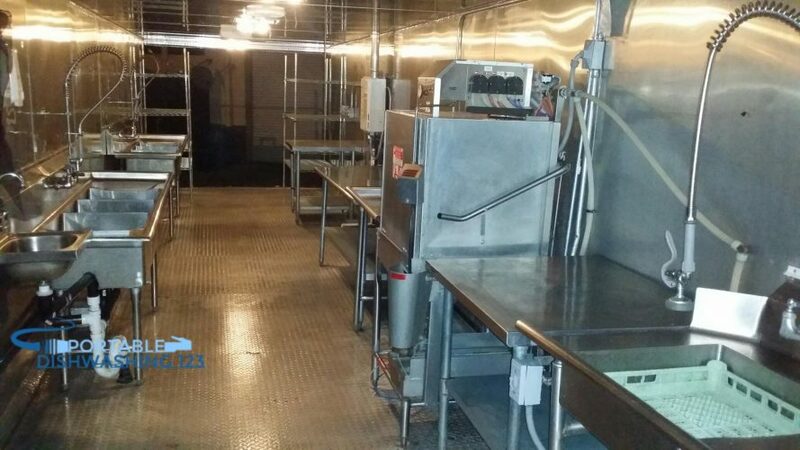 Each unit is equipped with bay sinks, handwashing sinks, soil trays, and wire racks. The unit is all electric with a 200V and Single Phase power requirement. Aside from this, we also have ramps, common landing areas, and handrail that are state-engineered approved and have met all ADA Handicap Federal requirements. We do offer health permit packages to help you expedite in getting your permits. Our lines our open from 6 AM to 6 PM Pacific time so why not call us now and see how our experts can guarantee you a certain level of service.